It should be no surprise that the team that sprinted out to a 9-1 start took home the title in the 14-Game Tournament. The only shocking part is how it happened. For the second-consecutive year, Harvard entered the penultimate weekend of the season needing to beat just one team to all but clinch the league’s NCAA bid. Just like the 2011-12 campaign, in which the Crimson fell to Pennsylvania, bringing the two teams even in the loss column, Harvard lost for the 24th consecutive time at Jadwin Gymnasium, allowing Princeton to grab a virtual tie for first place. Then, the Crimson compounded its error, losing the next night to a surging Quakers squad at The Palestra and falling behind the Tigers in the Ivy standings for the first time this season. With just two games remaining, Harvard needed a home sweep of Columbia and Cornell, as well as a Princeton loss in one of its final three road contests to force a one-game playoff at The Palestra. The hangover lasted well into the following weekend, as Harvard trailed Columbia by as many as eight early in the second half in front of a lethargic crowd before news arrived from New Haven that the Tigers trailed Yale by double digits. An 11-2 run over the final two minutes allowed the Crimson to slip past the Lions, and the Bulldogs withstood a late charge from Princeton to hand Harvard back a half-game lead and an opportunity to clinch a share of the Ivy title the next night. The Crimson did just that with a 65-56 win over Cornell on NBC Sports Net. A muted celebration followed, but most fans had already turned their attention to Providence, as Brown led Princeton by double-digits early in the second half. Roughly 100 fans remained in the arena with most huddled around computer screens watching the Bears-Tigers score updates. When Brown sank enough free throws to put Princeton away, Harvard had improbably clinched the Ivy title – the first time it had done so without the season-ending Pennsylvania-Princeton game mattering. The dramatic final weekend capped off what was a surprisingly strong year for the league, after several All-Ivy caliber players unexpectedly dropped off rosters just before the season started. While the league will see its streak of three-straight years with at least three postseason invites come to an end, the Ivies still posted their second strongest showing as a conference in the Pomeroy era. The improvement came from the bottom, as the league avoided having a team rank worse than 275th nationally for the first time in at least a decade. Player of the Year: Ian Hummer, F, Princeton – At the start of the season, this was Hummer’s award to lose, and all he did was put together the finest year in his stellar career. The 6’7″ senior led the league in Offensive Rating among heavy usage players and finished second in both scoring and assist rate. 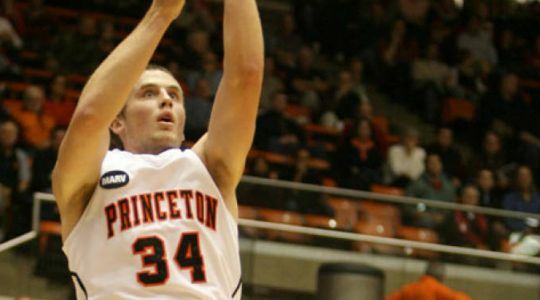 Hummer averaged over 20 points and 10 rebounds in his two games against Harvard, single-handedly willing the Tigers to victory at Jadwin in a game that kept Princeton in the Ivy race. Hummer’s heroics often hid the struggles of his surrounding pieces. The extent to which he carried this team was never more evident than during Princeton’s final three games. After Yale successfully took him out of the game, allowing Hummer just eight shots and nine points, the Princeton captain scored 21 points against Brown, but on 5-of-15 shooting and with four turnovers. Hummer continued to struggle against the rival Quakers, shooting 1-of-7 from the field in the first half, but responded with a 16-point, second-half outburst to keep the Tigers from losing each of their last three Ivy contests. Hummer’s off nights were still exceedingly rare, as he scored in double-digits in all but three games this season. His deceptive athleticism has consistently buoyed Princeton in games against higher-level opponents, giving the Tigers a player on the floor that can clearly play with the best in college basketball. While this is a Player of the Year award and not a career achievement award, it’s hard not to see this distinction as a fitting celebration of four years of a caliber of basketball that this league rarely gets to see. 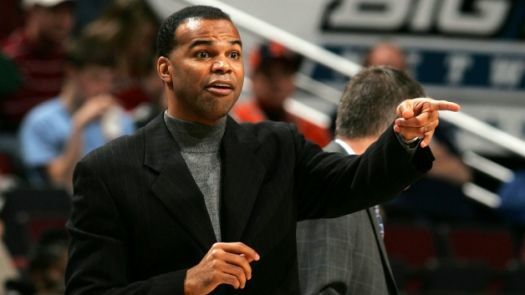 Coach of the Year: Tommy Amaker, Harvard – The Ivy League does not give out a formal Coach of the Year award, but it would be incredibly interesting to see who the main office picked in a year with some stellar candidates, including James Jones of Yale and Mike Martin of Brown. Amaker gets the nod here not just for winning the Ivy title, but for navigating a tricky season to continue his recent history of success. 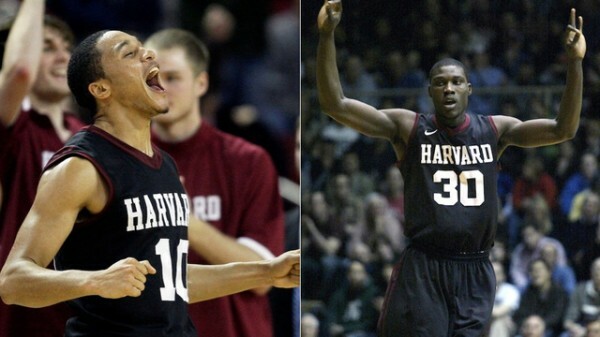 After the “Intro To Congress” cheating scandal rocked the campus and left Harvard without his star guard Brandyn Curry and forward Kyle Casey, Amaker faced a brutally tough non-conference slate with a starting five comprised of one returning starter, three lightly used sophomores and a freshman. The Crimson still managed to go 8-6 with road wins at Boston College and California, as well as a one-point loss at Saint Mary’s and a three-point loss at Massachusetts. 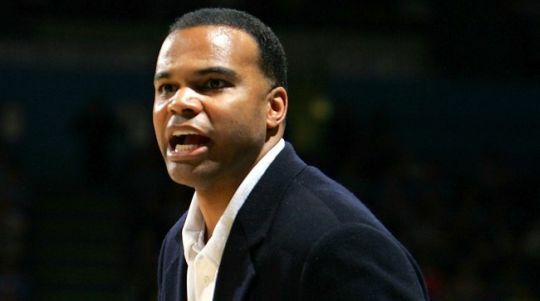 Amaker also guided Harvard through a roller-coaster Ivy season, keeping his team focused even after it saw its lead slip away – a steady approach that led the Crimson to its third-straight Ivy title. Rookie of the Year: Siyani Chambers, Harvard – From start to finish, the dynamic Crimson point guard electrified the league, taking over several games with his strong scoring ability and his nifty passing. Chambers finished 64th nationally in both assist rate (32.8 percent) and three-point shooting percentage (44 percent), while ranking fourth in the Ivy League in free throw percentage and fifth in free throws made. His performance was bigger than his mere offensive output, as there were no other true point guards in the rotation, which forced Chambers to log the fifth highest percentage of team minutes of any player in the nation. Defensive Player of the Year: Shonn Miller, Cornell – The Ivy League has rarely had so many pure interior shot blockers and rebounders as it has at present, making the race for this award incredibly tight. Harvard’s Kenyatta Smith didn’t see enough floor time to qualify, and Brown’s Cedric Kuakumensah was a clear contender as well. Anyone that followed Cornell’s final four games without Miller patrolling the interior can attest to how important he was to that Big Red squad. Miller finished in the Top 100 nationally in defensive rebounding rate, block rate and steal rate – the only Ivy player to rank that highly in all three. 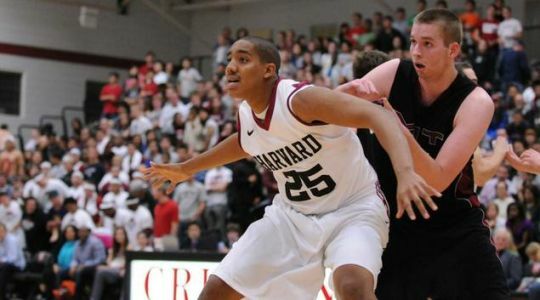 Wesley Saunders, G, Harvard – From the moment he led the team in scoring during Harvard’s preseason trip to Italy, everyone expected big things from the 6’5″ sophomore, and he delivered. Saunders had the second-highest offensive rating of any Ivy player using 24 percent or more of his team’s possessions and ranked 52nd nationally in free throw rate. Like Chambers, Saunders played grueling minutes – roughly 92 percent of his team’s total – and still took on the challenge of defending the opponent’s best perimeter scorer every night. Sean McGonagill, G, Brown – After a dismal 2011-12 campaign, in which McGonagill was forced to carry a terrible offense for vast stretches at a time, the junior guard finally got enough help to push the Bears all the way into the league’s upper division. The offense still ran through McGonagill, as he finished sixth in the league in assist rate and sixth in percentage of team shots taken, but the added talent around him allowed him to pick his spots and become a more efficient player. McGonagill’s most memorable performance was his final one this season, as he racked up 24 points, eight rebounds and five assists against Princeton in an 80-67 upset win. Game of the Year – Harvard 82, Dartmouth 77 (OT) – With less than two minutes remaining, a Harvard team that had looked so strong during the non-conference slate and had been nearly invincible at Lavietes Pavilion trailed Dartmouth by a seemingly insurmountable 10-point margin. Harvard guard Christian Webster buried a three-pointer to make the deficit seven with 90 seconds to play, but the Big Green made enough free throws to hold a six-point cushion with 45 ticks left. That’s when Webster drained another three and then knocked down another following a pair of Dartmouth free throws. Big Green guard John Golden came up empty on his trip to the stripe, and Chambers’ driving layup allowed Harvard to force overtime. The Crimson scored the first six points of the extra session and never looked back, completing a comeback win that, in hindsight, was critical to its NCAA hopes. 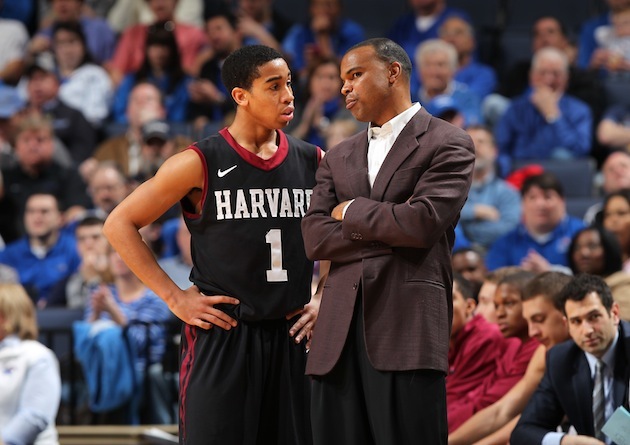 Harvard (19-9, 11-3 Ivy) – Ultimately, Harvard’s Ivy title hinged on one crucial coaching decision that Amaker made in the middle of the league season. The Crimson’s solidly Top 100 defense from the non-conference slate had been torn apart through the first six games of league play to the point that Harvard ranked dead last in the Ivies on that end of the floor. Enter Kenyatta Smith. The 6’8″, 250-pound sophomore had gone from a starter at the beginning of the year to a very lightly used reserve during December and January. With Harvard getting shredded inside, Amaker rolled the dice and went to the bench, and Smith delivered with an average of 17 points, eight boards and eight blocks during a home sweep of Pennsylvania and Princeton. The Crimson allowed just two of its final eight league opponents to eclipse a point per possession offensively after allowing five of its first six to do so. Princeton (17-11, 10-4) – The Tigers became only the second team in the Pomeroy era to win the conference efficiency margin battle without winning at least a share of the Ivy title (Pennsylvania, 2004). While that’s hardly consolation for a team that won all but one first place vote in the league’s preseason media poll, it does accurately convey how dominant Princeton was at times during Ivy play. Ultimately though, it was Princeton’s 3-2 mark in close games, compared to Harvard’s 6-1 showing, that proved to be the difference in the title chase. Yale (14-17, 8-6) – The Ivy League won’t get a third postseason invite this year, but the Bulldogs are certainly deserving. While Yale went 4-11 versus Division I competition in non-conference play, that mark came against the nation’s 30th most difficult schedule and included just four games against teams outside the Top 200. After a 1-3 start in league play, the Bulldogs closed with a 7-3 record, tied with Harvard and a game better than Princeton over those final 10 games. With a weaker non-conference schedule, the Bulldogs might have been looking at another appearance in the CIT. Brown (13-15, 7-7) – Speaking of teams that are postseason worthy, the Bears likely came within a blown six-point lead with two minutes remaining against Pennsylvania of making the CIT. Matt Sullivan sparked a tepid offense over the final five games of the season, allowing Brown to come within that collapse against the Quakers of going 5-0 down the stretch and hitting the .500 mark. Sullivan will graduate following this season, but the remainder of Brown’s key pieces will return, meaning the momentum should carry over to 2013-14. Pennsylvania (9-22, 6-8) – Finishing anywhere but first fails to please the Quaker faithful, but the job Jerome Allen did to guide this team to a 6-8 Ivy record is remarkable. Pennsylvania lost its best player just 10 games into the season and watched as other pieces of the rotation struggled through injuries. While points were lacking for vast swaths of time, the Quakers’ consistently solid defense kept it in games, allowing it to grab some victories even with a struggling offense. Dartmouth (9-19, 5-9) – At 2-3 with a near miss against Harvard, the Big Green looked like it was primed to leave the Ivy cellar for the first time since 2009. It ultimately accomplished the feat, but not before dropping five straight games – four by double digits – and sinking back to the bottom of the league with two weekends to go. Dartmouth’s offense saved the day, though, scoring over a point per possession in each of its final four games and running off a 3-1 record over that stretch to finish tied for sixth in the league with Cornell. Columbia (12-16, 4-10) – The 8-6 non-conference record with a win over Villanova seemed to justify the Lions’ selection as the third-place team in the Ivy preseason media poll. Then, the wheels fell off the wagon. Columbia stumbled out to a 1-4 league mark before an upset win over Harvard kept the Lions’ slim postseason hopes alive. The victory was merely a mirage, though, as Columbia went 2-6 over the remaining eight games to become the most disappointing Ivy team since 2005 Princeton. With guard Brian Barbour and center Mark Cisco graduating, it’s going to take a lot of effort for the Lions to avoid the basement of the Ivy standings next year as well. Cornell (13-18, 5-9) – Three Ivy weekends ago, the Big Red was a weekend home sweep of Pennsylvania and Princeton away from being a legitimate contender. Cornell lost both games to dash their hopes, but then things got really strange. Starting guard Johnathan Gray had already missed two games with an unspecified injury and was soon joined by guard Devin Cherry and All-Ivy forward Shonn Miller. Heading into the final weekend of the year, sophomore Galal Cancer decided to leave the Cornell program entirely. The result was an ugly six-game losing streak to close out the season, causing the Big Red to miss out on an upper division finish that had seemed like a lock just three weekends prior. NCAA Representative – Harvard (Seed Prediction: #14): The daunting non-conference road schedule that had Harvard facing seven Top 100 Pomeroy teams will likely pay dividends in the seeding process. Sure, the Crimson only went 2-5 in those games, but it lost two of those five at the buzzer, potentially giving the committee something to think about from the “eye test” perspective. Enough conference tournament upsets have happened to push Harvard off the 15 line, while enough quality mid-majors have won their league’s bids to keep the Crimson from sneaking onto the 13 line. Any three-seed the Crimson would face will likely have very few weaknesses, but the best opponent for Harvard would be one that fouls a fair deal defensively and isn’t overly imposing inside. For the Crimson to pull off the upset, it will need to have its three-point shooters get hot and limit the second-chances defensively. Other Expected Postseason Representatives: Princeton (CBI or CIT) – The Tigers’ non-conference struggles have pretty much erased any hopes of an NIT bid. Princeton will definitely receive an invite to the CBI or CIT. The CBI has been quite kind to the Tigers, as they’ve racked up three wins in their last two appearances in the 16-team tournament. Players of the Year – After once again earning Ivy Player of the Week honors on Monday, Princeton senior forward Ian Hummer officially set a single-season record with six such accolades. For the third time, the title was shared with Harvard sophomore swingman Wesley Saunders, who himself has been awarded Player of the Week honors on five occasions this season. The weekly awards don’t always capture the most important performance from the previous seven days, but they’ve done a good job highlighting the two players between which coaches will be torn for Player of the Year honors at the end of the season. Hummer and Saunders are dead even in offensive rating, each contributing 110 points per 100 possessions on the offensive end, though Hummer does have the edge in usage rate, consuming just over 30 percent, while Saunders checks in at 25 percent. Both players are charged with some heavy defensive responsibilities as well, often drawing the opponent’s toughest assignment. The edge will likely go to the senior Hummer, but each should be a unanimous First-Team All-Ivy selection. Postseason Berths – Cornell’s disappointing weekend getting swept by Pennsylvania and Princeton officially knocked the Big Red out of the Ivy title race, leaving the Tigers and Crimson as the only teams vying for the title. Both Harvard and Princeton will be in a postseason tournament of some sort – the winner to the NCAAs and the runner-up likely to the CBI or CIT. The postseason possibilities don’t end there for the Ivy League, though. Cornell currently sits at 13-14 and would need to go 3-1 in its final four games to eclipse the .500 threshold necessary for tournament consideration. Its position outside of the Top 200 in both Pomeroy and the RPI might seem to be a disqualifier, but with the CIT expanding to 32 teams and focusing exclusively on mid-majors, the Big Red’s odds of getting selected at 16-15 are still pretty decent. Columbia has a better Pomeroy profile and better top win (at Villanova) than Cornell, but would need to win out to get to .500 in league play. The Lions only need to go 3-1 to finish at .500 overall, but the 6-8 mark in the Ivies might be too much to overcome. The 14-Game Tournament — College basketball’s most unique conference schedule gets underway in earnest this weekend, as the eight members of the Ivy League begin six weeks of Friday/Saturday back-to-back games for the right to represent the league in the NCAA Tournament. No conference tournament, no second chances. The only rare appearances for the league during Championship Week occur when the regular season title is shared, in which case no tiebreakers are applied and the two or more teams proceed directly to a neutral site playoff. The last one of those happened following the 2011 season, when a Douglas Davis jumper at the buzzer sent Princeton past Harvard into the NCAA Tournament. Currently, the odds of playoff this season sit around 20 percent and would most likely be a repeat of that 2011 duel. Odds Aren’t — The last travel partner weekend was supposed to be a snoozer as each of the three contests had favorites of between 5.5 and 16.5 points. No one told the teams involved, apparently, as two of the three contests went into overtime and another wasn’t decided until a missed three at the buzzer. The favorites are still 5-2 in the early going, meaning that the race has gone pretty much to plan thus far. If the results from last weekend are any indication, however, the next six weekends should provide plenty of surprising moments while the league likely ends up either of the expected favorites, Harvard or Princeton, taking home the title. Conference Rivalries – The Ivy League closed strong in its battles against neighboring leagues, closing out the Patriot League with Cornell’s win at American and the Metro Atlantic Athletic Conference with Brown’s home victory against Niagara. Throw in the Mid-American Conference, which the Ivies defeated four games to one, and the league managed to win the season series against Pomeroy’s 14th, 15th and 17th-ranked conferences. The Ancient Eight didn’t fare as well against some leagues ranked far behind it, though. Ivies combined to go 3-8 against Pomeroy’s No. 24 Northeast Conference and 7-10 against the No. 23 America East Conference. Top Non-Conference Players By Position – With just three Division I games remaining for the Ivy League this season, it’s time to take a look back and honor the players who have impressed the most during the first half of the 2012-2013 campaign. Ian Hummer and Siyani Chambers Go To Battle For Their Respective Teams. Guard – Siyani Chambers, Harvard – The Crimson had 40 full minutes to replace at the point guard position, and Chambers alone has replaced 94 percent of those with All-Ivy caliber output. His true shooting percentage is 63rd nationally with an assist rate that places 103rd. He’s adept at driving to the hoop, but has hit half of his 54 attempts from three. The only knock on the freshman is his propensity to get sped up by swarming defenses, leading to turnovers and poor shots. Guard – Brian Barbour, Columbia – When there’s nothing surprising about a great player’s stat line, that’s a good thing, and through the first 14 games of the year, Barbour has been exactly the player everyone expected. The senior point guard has only turned the ball over on 14 percent of his possessions, while boasting the 71st best assist rate in the country. Barbour still can’t shoot the ball well, but he’s made up for it by continuing to get to the line a lot and converting at an 89 percent clip when there. 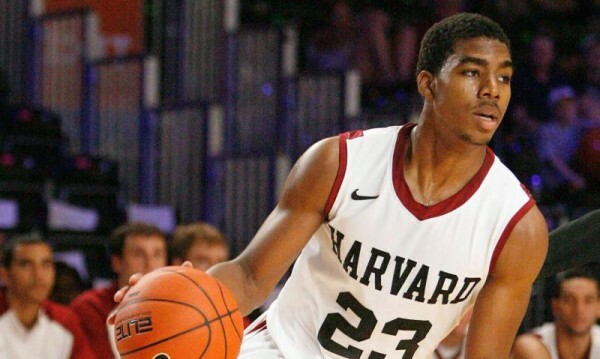 Swingman – Wesley Saunders, Harvard – He has developed just enough of a jump shot to keep opposing defenses honest, which has allowed him to gash opponents off the dribble and bully his way to the free throw line. Saunders’ offensive rating ranks 62nd nationally among players with at least 24 percent usage rates, but the 6’5″ sophomore is also the Crimson’s best perimeter stopper. He is a true two-way player that is one of the favorites for Ivy Player of the Year. Forward – Ian Hummer, Princeton – Speaking of favorites for Ivy Player of the Year, Hummer has to be the first player mentioned in the debate. He does everything for the Tigers, as noted by his usage rate which is 11th highest in the country. He has the team’s highest two-point shooting percentage, assist rate, defensive rebounding rate, fouls drawn rate and block rate. He is Princeton, and whether the Tigers win or lose the Ivy title will be solely based on how Hummer performs down the stretch. Forward – Fran Dougherty, Pennsylvania – Prior to coming down with mononucleosis, Dougherty was in the discussion with Saunders and Hummer for Ivy Player of the Year. He was the star on a seemingly rudderless Quakers team. Poor free throw shooting had always held him back, but he boosted his percentage to 71 percent this season, finally allowing him to penalize opponents for sending him to the line. It’s unclear how much more time Dougherty will miss, but this Pennsylvania team has looked absolutely lost without him. No Experience Necessary – For a league that doesn’t routinely grab players from the scouting services’ Top 100 lists, breakout freshmen are usually just lightly sprinkled around the league with only a few really contending for the title of Rookie of the Year. This year, however, the Ivies might need an All-Rookie Team. Harvard point guard Siyani Chambers has gotten the most publicity with back-to-back 14-point, seven-assist performances against Massachusetts and Manhattan, but he’s not the only Ivy freshman to impress. Yale’s Justin Sears has managed a workhorse-like 27 percent usage rate, while mustering an offensive rating above 100, and Brown rookie Rafael Maia has been a dominant interior presence for a team so badly in need of one. Cornell and Dartmouth have a pair of talented freshmen guards in Nolan Cressler and Alex Mitola, respectively, while Penn has two of its own in Tony Hicks and Jamal Lewis, who have played well aside from struggling to shooting the ball to start the season. Michael James is the RTC correspondent for the Ivy League. You can also find his musings on Twitter at@mrjames2006 and @ivybball. In by far the toughest Ivy since the 1970s, Harvard delivered exactly as expected, slogging through the treacherous league slate with a 12-2 mark and a second Ivy title. What wasn’t expected was the company the Crimson would have at the top. The average expectation had no other Ivy teams eclipsing the 10-win plateau, but Penn paid no heed to those projections. After losing to Harvard 56-50 at home to fall two games off the pace, the Quakers ripped off an amazing stretch of seven straight wins to climb even in the loss column after the final Ivy back-to-back weekend. But tradition left Penn with work to do. Its second-most difficult game of the season still remained – the annual meeting with rival Princeton after the rest of the league’s regular seasons had already drawn to a close. The Tigers double-teamed Quaker star Zack Rosen all game, stifling the Penn offense, and executed efficiently on the other end, cruising to a 10-point victory and ending the Quakers’ title hopes. It was a historic year for the league by a variety of metrics. The league has never posted a higher Pomeroy Rating in the efficiency era, has never had seven non-conference wins over Pomeroy Top 100 teams in a season, and has never had a higher ranked team in the Pomeroy era than Harvard at No. 37. It is also currently hanging on to the 13th spot in the Conference RPI rankings, which would eclipse the 2001-02 mark of 14th, and could have as many as four teams earn postseason bids. With so many pivotal seniors, it will be hard for the Ivies to avoid a collective step back, but with a solid incoming freshman class, don’t expect a return to the dark ages of 2008 and 2009. Yale and Princeton each posted solid campaigns, flirting with the RPI Top 100 for most of the season and building postseason-worthy resumes – the former by its quantity of wins and the latter with its quality. Columbia had a great non-conference run followed by an incredibly unlucky Ivy campaign, while Cornell did just the opposite, stumbling a bit outside the league, before putting together a solid 7-7 mark in Ivy play. Brown and Dartmouth had forgettable seasons, but the Bears will return several players from injury and ineligibility while the Big Green will see its talented freshmen continue to grow and mature. Perfect No More: Heading into last weekend’s back-to-back, Harvard held a one-game lead and an undefeated mark in Ivy play. The trip to Penn and Princeton claimed the latter, but the Crimson survived with the former intact, as Harvard remains a game ahead of both Penn and Yale in the loss column and two games up on Princeton and Cornell. The Crimson got its most important win of the season on Friday night at The Palestra, as freshman Corbin Miller scored 17 points in just 18 minutes and Kyle Casey added 15 to hold off a pesky Quaker squad 56-50. Miller and Casey combined to shoot 11-19 from the field and 4-8 from three, while the remaining players from both squads connected at an anemic 28% clip. Casey and Miller continued their solid play the following night at Jadwin Gym against Princeton and even got some help from Brandyn Curry and Keith Wright, who combined for 31 points on 12-21 shooting. It was the defense that betrayed the Crimson against the Tigers though as Princeton shredded the Harvard defense with effective back door cuts and well-executed post isolation mismatches. The Crimson cut a 10-point Tigers lead to four with under a minute to go, but Princeton went 7-8 from the line to clinch a 70-62 victory. 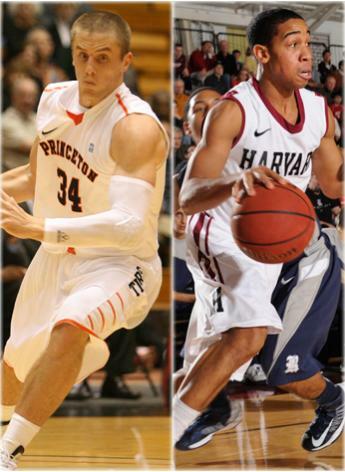 Harvard had been looking for its first win at Jadwin since 1989 and first road sweep of Penn and Princeton since 1985. Ivy teams have combined for just seven sweeps of the Quakers and Tigers on the road in league history. Collapse Of All Collapses: Don’t take a look at this Ken Pomeroy Win Probability chart if you are a Columbia fan, but otherwise prepare to be astonished. 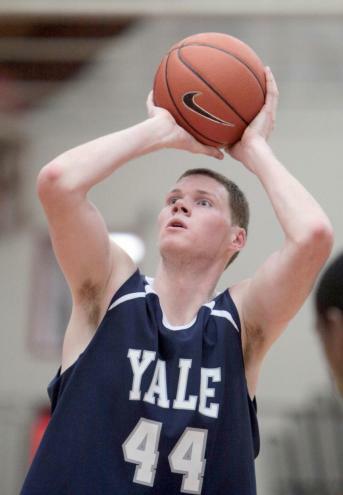 Just ten minutes away from having to turn its attention to the postseason’s smaller dances, Yale ripped off a 26-5 run to end the game, overcoming a 20-point deficit and keeping itself in the midst of the Ivy race. The Lions might have long been out of the title chase, but the loss was still incredibly damaging. With five teams from the Ivy League likely to finish above .500, the race for postseason slots will be incredibly competitive and Columbia’s profile is one of the weakest of that group. Getting swept by the other team with a weak profile (Yale) is probably the best way to ensure being the odd man out in the selection process. Contenders and Pretenders: The first Ivy League back-to-back weekend is in the books, though for only half of the league’s teams. In true 14-game tournament fashion, it took just one weekend for the Ivy title race to change pretty drastically. With a road sweep of Cornell and Columbia, Pennsylvania immediately vaulted into the number one contender spot behind Harvard. The New York trip will be the second-toughest in the Ivies this season (the Princeton/Philadelphia swing will be slightly more treacherous), so escaping it with a 2-0 mark puts the Quakers in great shape to hang around the title race deep into the season. Zack Rosen And The Quakers Hope They Have All Their Kinks Ironed Out So They Can Make A Run At Harvard. The weekend wasn’t as kind to Columbia, which had two separate comeback bids fall short against Pennsylvania and Princeton, losing both games by a combined six points. The Lions had entered Ivy play at 9-1 in their last ten games, but all it takes is one rough back-to-back to see title hopes get dashed. Columbia still has a chance at a postseason berth in one of the 16-team events, but will likely need to close with eight or nine wins in its final 12 games – a slate that includes two meetings with Harvard. The Tigers and Big Red emerged from the weekend alive, but endangered.Princeton is in better shape than Cornell, as road splits are excusable, while home splits can be deadly. The Tigers face the daunting task of playing their first five games on the road, which also means seven of the final nine at home, so Princeton can fall a little behind early and still maintain a realistic hope to catch the leaders down the stretch. Cornell doesn’t have that luxury. The Big Red must sweep travel partner Columbia over the next two weeks to stay in the race and set the table for a battle with preseason favorite Harvard at Lavietes Pavilion. Turnaround Experts: Unless your school’s name was Harvard, November wasn’t the best month. High expectations had been placed on a league that suffered relatively few key graduation losses and had vaulted into the teens in the conference rankings. As the calendar flipped to December, however, the Ivies had just two teams above .500 and the league’s overall record against Division I competition was a disappointing 21-28 with one of the nation’s worst strength of schedule ratings to boot. Led by Columbia’s and Yale’s 4-0 Division I mark in December thus far, the Ivy League has gone 20-14 this month and currently has six teams in Pomeroy’s Top 200. Even some of the losses have been impressive, which has buoyed the conference rating in the possession-based ranking systems. Pennsylvania played both Villanova and UCLA tough on the road before ultimately falling, and Princeton gave Drexel all it could handle in Philadelphia before losing by four. Meanwhile, Harvard has paced the league with a 10-1 mark, hanging around the Top 25 in almost every type of ranking and keeping the Ivies in the national spotlight. Quality Wins: With almost three-quarters of the non-conference season in the books, the Ivy League has racked up some wins that would make any one-bid conference jealous. Harvard has led the way with neutral-site victories over Florida State and Central Florida en route to the Battle 4 Atlantis title. The Crimson hasn’t been the only team taking down quality opponents, though. 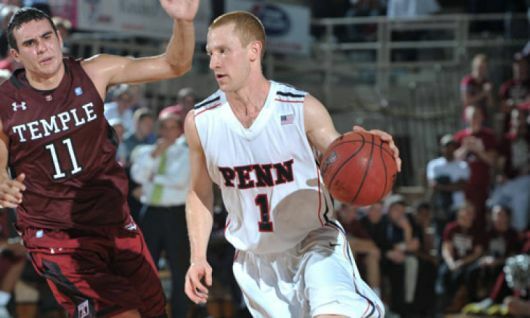 The Quakers have come close to a few major upsets – none closer than their overtime loss to Temple – but still have a win over Top 100 Robert Morris to their name. Princeton joined the party with wins over Buffalo and Rutgers and like Pennsylvania came close to a couple others. Finally, Cornell and Columbia have each knocked off some quality teams from the one-bid leagues – Lehigh and Manhattan, respectively. Depending on the rating system, the Ivies have registered as many as 21 of their 41 wins against the Top 200, including 10 in road or neutral settings, and the average ranking of the league’s wins is roughly 210. That profile makes the Ivy League the #13 conference in the country according to the Pomeroy Ratings. It also has this year’s edition of the league on pace to be the toughest top-to-bottom since the inception of the Academic Index Floor (a test-score and GPA based system for ranking the academic qualifications of potential admits) in the early 1980s. Top Performers: With Harvard cracking the Top 25 in the ESPN/USA Today Coaches Poll again this week, you might expect to see a bunch of Crimson players in a section on the league’s top players. Harvard has been so balanced this year though that its highly efficient offensive players including forwards Kyle Casey and Keith Wright and guard Laurent Rivard haven’t been able to post the raw stats that would lead to recognition. Any discussion about Player of the Year to this point starts and ends with Pennsylvania guard Zack Rosen. He’s the only Ivy player to be on the floor for more than 90% of his team’s minutes, and his output has been historically strong with an offensive rating close to 130 and a usage rate of nearly 25%. His backcourt mate, Tyler Bernardini, has been having a stellar senior campaign as well with efficiency and usage rates that may not match Rosen’s but are still easily All-Ivy caliber. Princeton’s Ian Hummer has been carrying the Tigers this season, using 33% of his team’s possessions and establishing himself as the league’s second most productive player behind Rosen. Yale big man Greg Mangano has to be part of the POY discussion, though he’s had a little more support as guards Austin Morgan and Reggie Willhite, along with forward Jeremiah Kreisberg, have all played very well this season. Some other guys to watch as league play approaches are Columbia’s Brian Barbour, Brown’s Sean McGonagill and Cornell’s Drew Ferry, who has stabilized a Big Red team that has yet to get the usual high quality output from its star Chris Wroblewski to this point. Greg Mangano Enters The Ivy POY Discussion With Averages of 17 Points And Nearly Nine Rebounds Per Game To Go Along With A Low Turnover Rate. Cousy Award Watch List: Over sixty players made the annual list of the top point guards and combo guards in the nation, including four from the Ivy League. Seniors Chris Wroblewski and Zack Rosen made the cut along with Columbia junior Brian Barbour and Harvard junior Brandyn Curry. The list of quality point/combo guards in the league hardly stops there. Brown sophomore Sean McGonagill was last year’s Ivy Rookie of the Year and is having a fine sophomore campaign. Princeton’s Douglas Davis has struggled a bit before having a monster game last night in a loss at Siena. Finally, Yale’s Austin Morgan has quietly put up First-Team All-Ivy numbers that rival any of the league’s four players that made the Cousy List.